Coal is an extremely loving boy but he is incredibly hyper and he struggles to contain his excitement. He isn’t quite able to express himself in the right way as he will bark and jump up for attention. 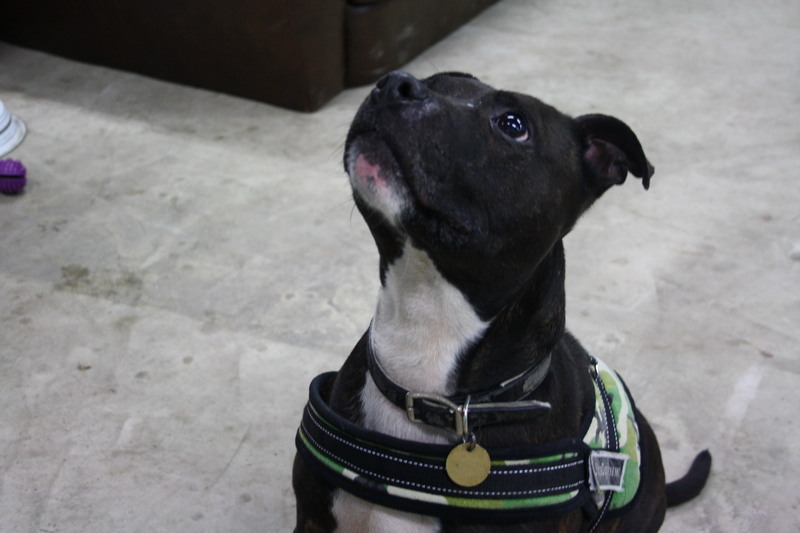 Coal is looking for a home with previous experience of bull breeds to understand his quirky but wonderful nature. He will be best suited to a home where his training will be continued to bring out the best in him. If you are interested in giving Coal a loving home or require any more information, please call 0191 215 0435.